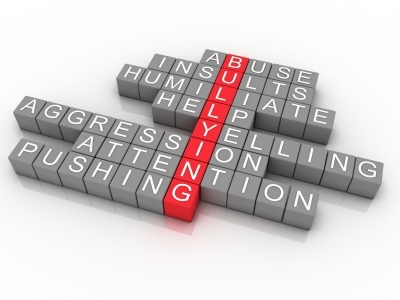 FROM PERSONAL EXPERIENCE, I know how some bullies are created…by being bullied by others. To my great shame, this was my reaction when I was bullied by an older girl at school (Grade 8). Every time she saw me, she would point at me and laugh and make loud unkind comments about me to her cohorts. This devastated me, as my psyche at the time was fragile. I had no idea how to handle it. I had long been taught by my alcoholic parents that you never snitched on people. You got even. I didn’t know how to get even, so I transferred my pain and frustration onto a younger girl at the same school. She even cried when I bullied her, following Rosalie’s cruel pattern. At first, I thought it was satisfying. Every time Rosalie bullied ME, I would say to myself, oh boy is Joyce going to get it later. And she would. I felt like I had some recourse and kidded myself that it felt good. But it didn’t. As time went on, it felt more and more ugly, until I couldn’t stand it anymore. I decided that, no matter what Rosalie did to me, I wouldn’t pass it on to Joyce anymore. I walked over to the younger girl to tell her. She shrank from me and started crying before I even opened my mouth. That’s when the full extent of what I had done to her exploded in my heart. I started crying, too. Joyce was so astonished that she stopped crying and regarded me with wide eyes. I told her the whole story. By the end of it, she was so indignant that she wanted to try to protect ME, which made me more ashamed than ever. I turned down her brave offer, since I knew that Rosalie would make mincemeat out of her. I’d like to say that Joyce and I became firm friends after that, but it didn’t happen. We remained friendly and would chat now and then, but true friendship was not in the cards for us. However, Rosalie was another matter. She continued to make my life a living hell, and I got angrier and angrier. One of the things I was really good at in life was the knowledge and use of the English language. I never thought of it as a defense, though, until Rosalie came into my life. Finally, unable to stand the torment any longer, I unleashed my skill with English at her. At first she tried to shout me down, along with a couple of her cohorts, but I was determined and I have a really loud voice when I become emotional. I was emotional that day…but cool enough to keep my head. 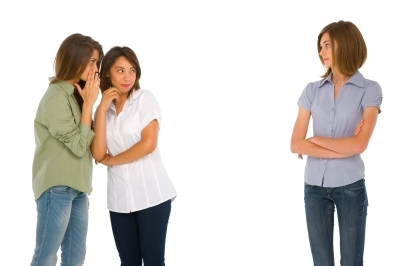 It came to a point where Rosalie and her friends were so surprised that I was fighting back that they became silent and listened to what I was saying. I was pointing out, in well-considered and polished language, all the errors in their statements . They didn’t know the meaning of a lot of the words, nor did they seem to understand the concepts. It ended up confusing them, and they sort of drifted away…while I was still talking. I grinned to myself. That felt much better than transferring my pain to someone else. When I told Joyce later, she cheered, then admitted if she ever met someone like me again, she would try her own considerable English skills, instead of crumbling into a soggy, miserable heap. I do believe, in that moment, I repaid her for all the pain I had caused. I’m not sure what it means, but that was the last time I was ever bullied by anyone (that I recognized as bullying). It was definitely the last time I ever knowingly bullied anyone else. Thus, so far no one has bullied my blog posts, my published books and stories, or my newspaper articles. I hope it stays that way.